This Mighty Mini row counter marker is danglefree and can count up to 10 rows. Unlike the long "chain" style row counting markers, this marker stays close to your needles. Attach this marker to your knitting bag or project with the lobster claw or the leverback attachment. 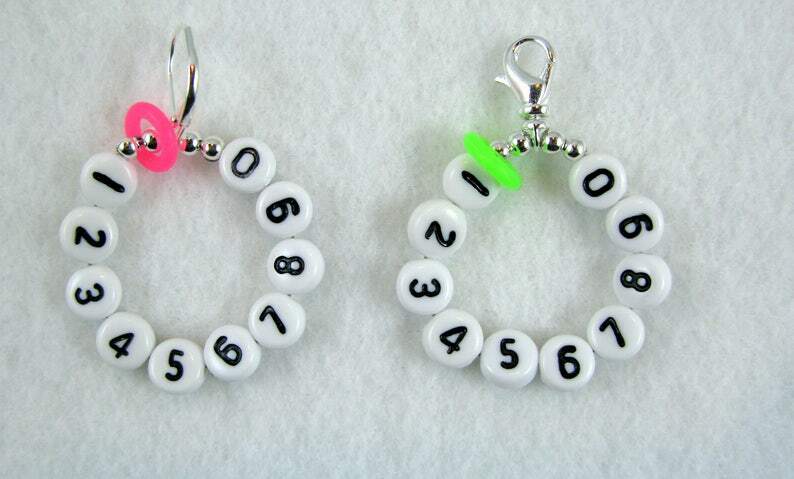 See review at Hot Pink Socks "Ewes & Reviews"
10 numbered beads with a movable marker to track your rows. Just move the marker over the next numbered bead as you complete each row. Tiny and light weight, perfect for all knitting projects. Made to order items usually ship within 3 business days. As with all our knitting accessories, this marker comes in its own Hide & Sheep tin.